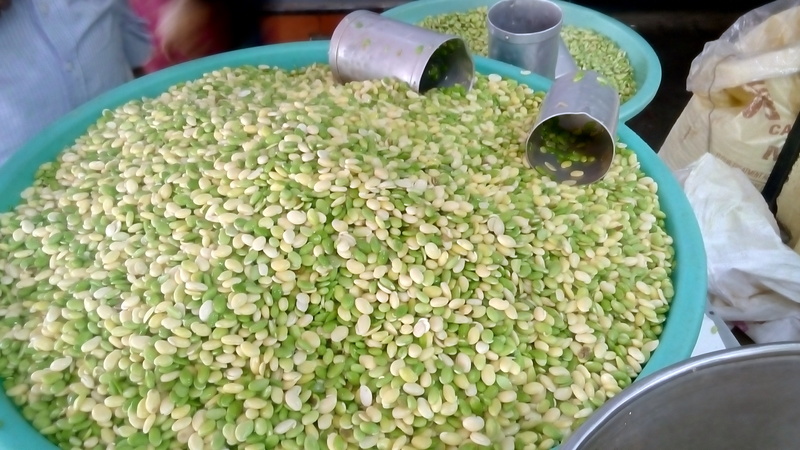 Come winter and there is an influx of “Avarekai” in the vegetable markets of Bangalore. Extremely popular and a universal favorite, Avarekai is almost the soul food of south Bangalore during the months of November to February. 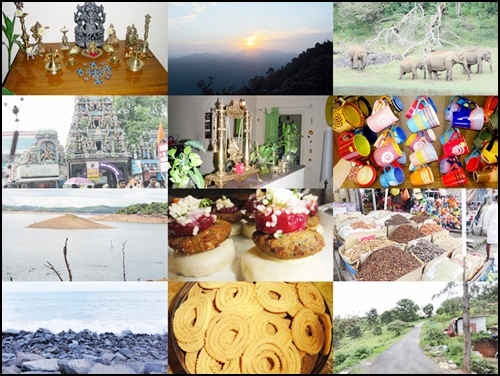 The avarekai season is much awaited and most Benglureans look forward to the arrival of their favorite vegetable year after year. Known as Hyacinth Bean or Broad beans in English, these magical green flat beans find their way into almost anything and everything that is prepared. Whether it is upma, akki rotti, any other sweet or savoury, the bean is added to enhance the flavor of just about everything. 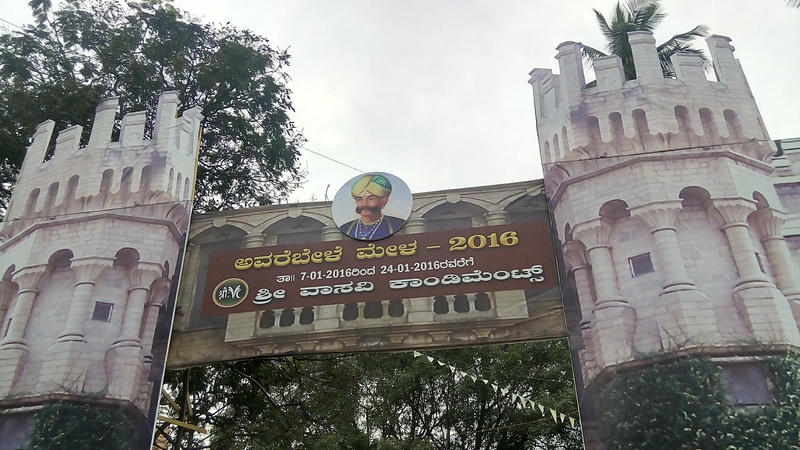 Keeping with the tradition, the “avarekai mela” is held each year in the much famed Thindi street in V V Puram. 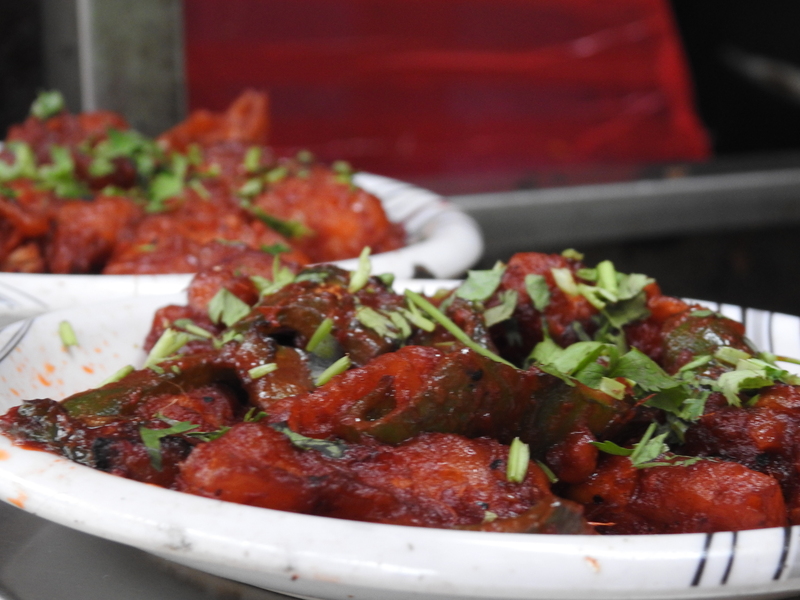 The area well known for its street food, adorns a festive look during this time and various specialities of avarekai are served. Organized by Vasavi condiments since 2003, this year the festival has just got bigger and better with the dishes setting new standards in creativity and innovation. The grand entrance leads to a sea of stalls decked up in green with the staff ‘dishing’ out delectable preparations at a furious pace. 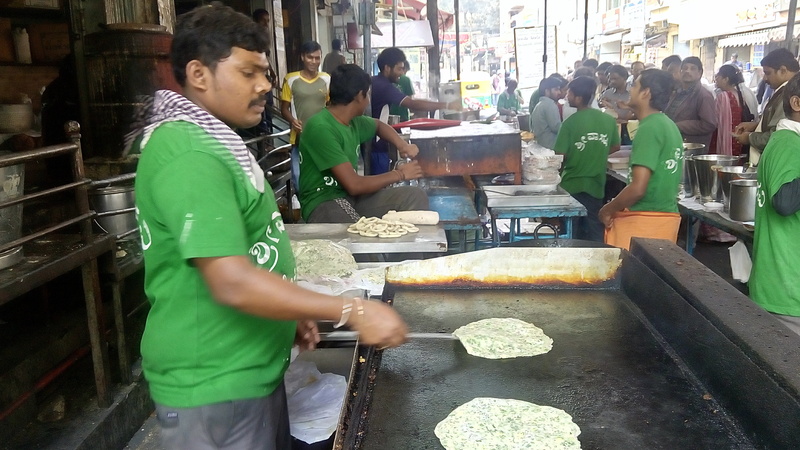 While the fare at the festival includes the usual favorites like averakai dosa, upma, akki and ragi roti, holige and idli, there are some indigenous creations like avrekai jamoon, jalebi, avrekai chaat and even avarekai gobi manchurian. 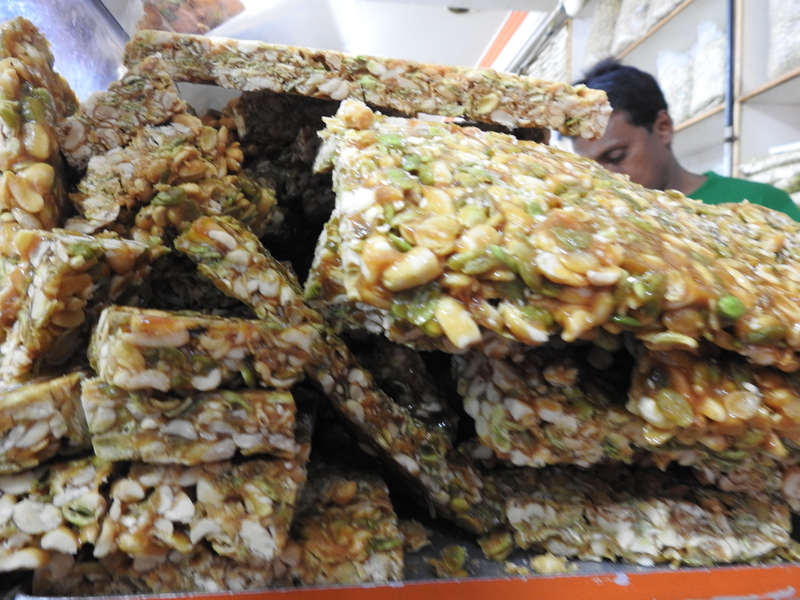 My favourites were the avrekai halwa and avarekai chikki. 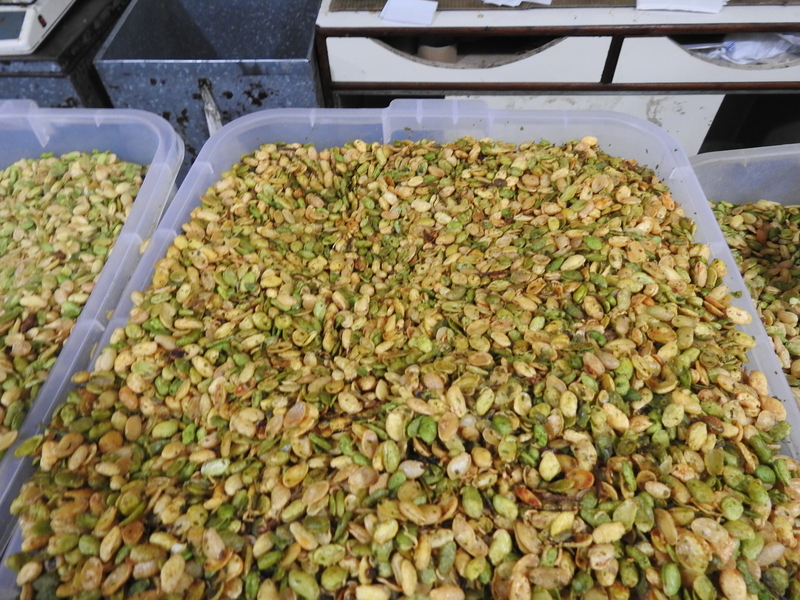 The beans per se are also available fresh with the beans peeled. 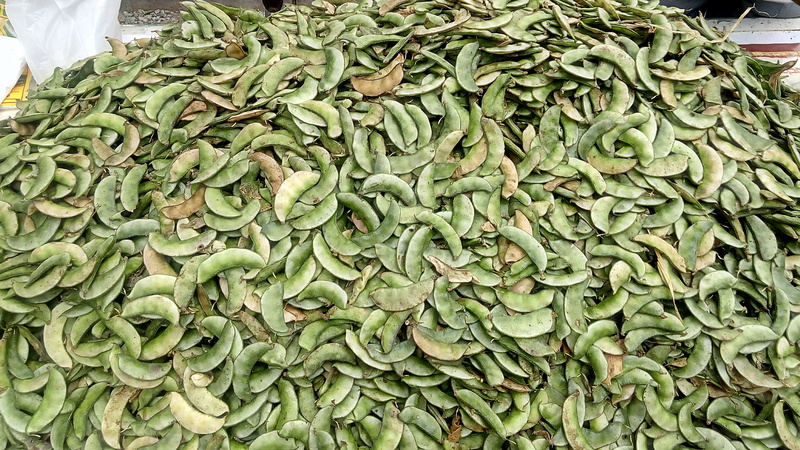 The “hittikidu” variety which is peeled beans with the husk removed is also available aplenty and there are various varieties of savouries prepared from the latter on sale. 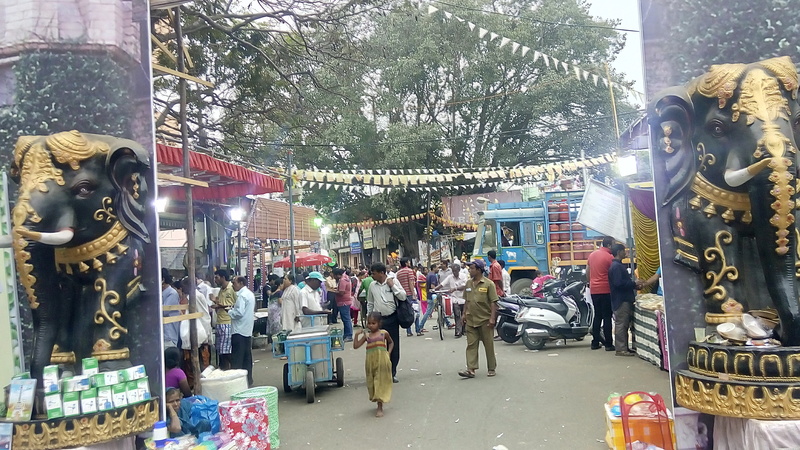 The place is teeming with vendors selling all sort of bags, bangles and various knick knacks. The mela is on till 24-Jan between 10am-11.30pm. 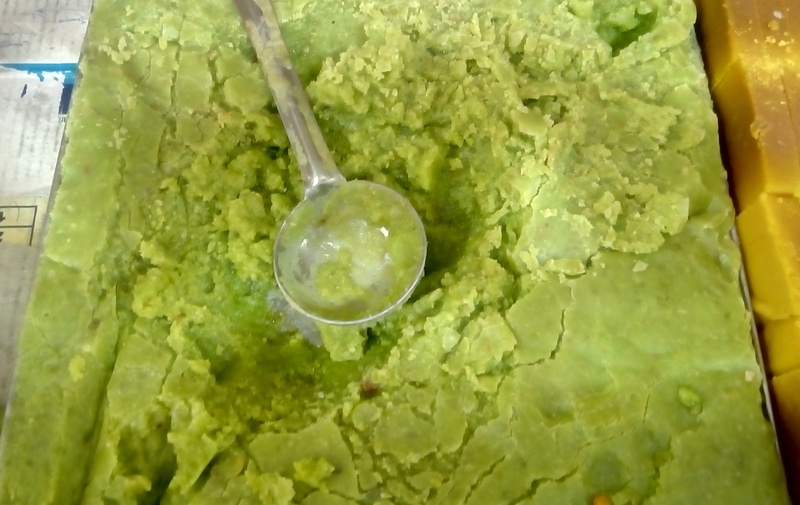 I never knew about this vegetable Avarekai…it looks like Peas from the outside. Thanks Alok, yes it looks like peas but bigger and tastes quite different. It is a ‘very Bengaluru’ vegetable! Yes, some of the dishes are really unique. Yum! I love to read about different cultures and this festival looks wonderful! Thank you Lynn and Alex! 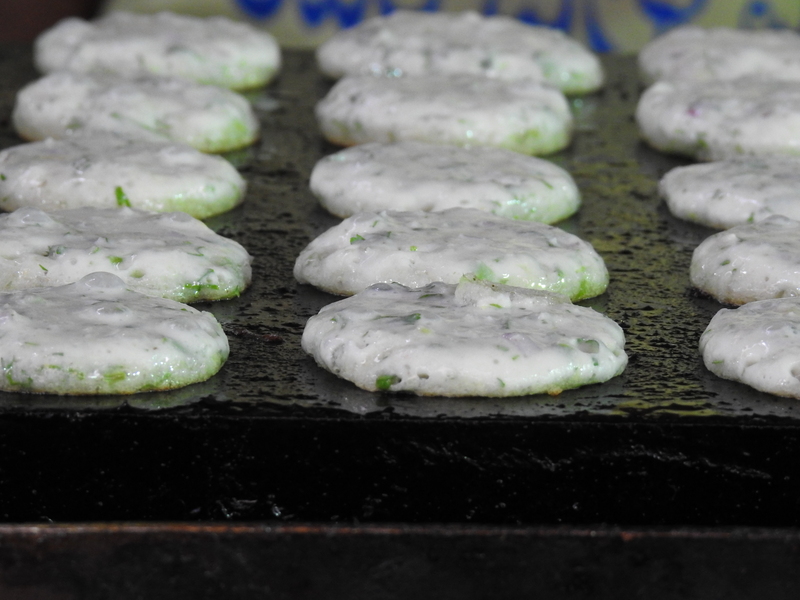 It is really very popular during the season in Bangalore and ranks high in terms of health benefits too! 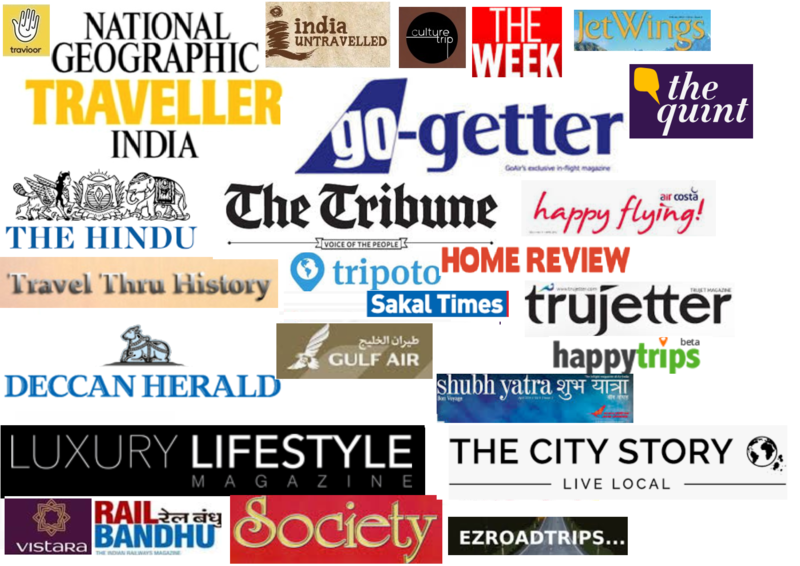 Yes, it is a very “Bangalore” thing; extremely popular in the city. which month it falls on? The vegetable is available during the winter months; the festival is usually in Dec-Jan.
thank u…some of my relatives r n b’lore…will ask them to check it out! !